The fishing at moonlight is called Lamparata. It is an ancient technique of fishing that the fishermen of the Cilento region have been able to transform into a tourist attraction. In summer this fishing evening is a tradition for who lives in Cilento all year long but it is a can’t miss event of the season for the tourists. 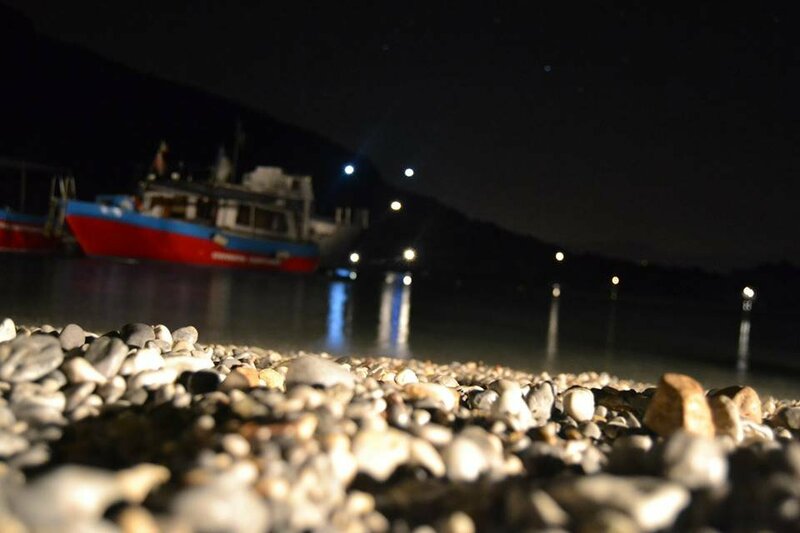 The Palinuro and Marina di Camerota sea gives emotions even at night. From di Marina di Camerota Harbor, around 9 pm, this strange team of fishermen and tourists weigh anchor and leave for an amazing fishing trip. 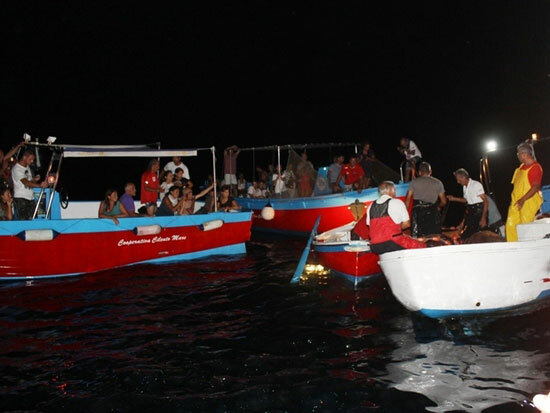 Friends, families with kids and sea lovers are in boat and shove off, leaving behind lights of the old village of Marina di Camerota. At sea the expert crew guides tourists over the waters discovering the Infreschi Coast’s spectacular landscapes. The crew tell tourists the use and ways of life of Cilento fishermen. Fishes are attracted to light of the lampara, the big bull fixed on the boat, so fishes come to the surface really close to the boat. All eyes on the actions of seamen that immerse their nets explaining the technique. They use a special fishing nets called the purse seine. When it is full, it takes a human effort, a team effort, to bring the fish aboard. A thunderous applause to reward the fishermen’s effort. When the fishing is over, the boat heads to the little hide beaches that you can reach only by boat. While the fishermen crew makes dinner, the tourists take a bath in warm sea of Cilento. Before to set a course on home, one last dive in the beautiful water sea of Baia degli Infreschi. On board to warm the tourist’s soul a limoncello glass. Now it is time to came back to the harbor. The lamparata is one of thousands thing to do in Palinuro. You have the possibility to discover the Cilento Coast at moonlight, to learn an ancient fishing technique and to taste fresh fish cached right in front of you.